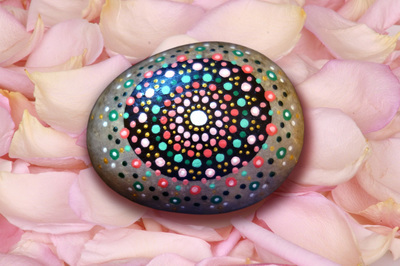 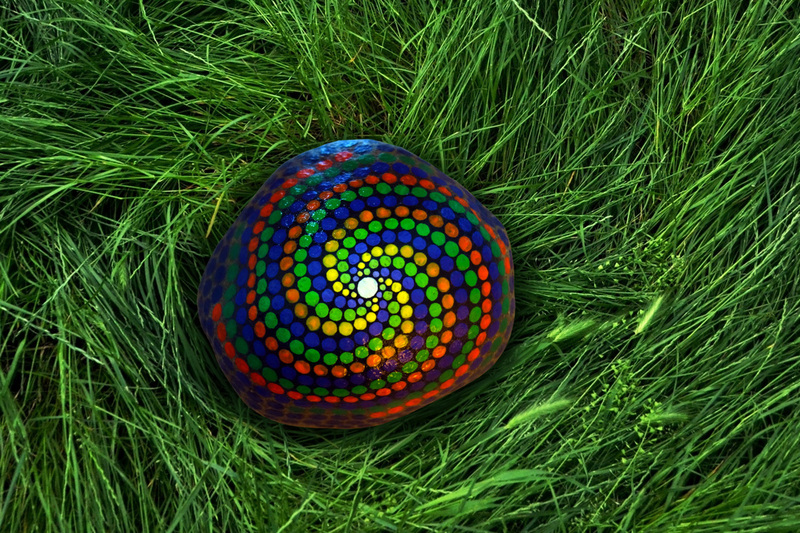 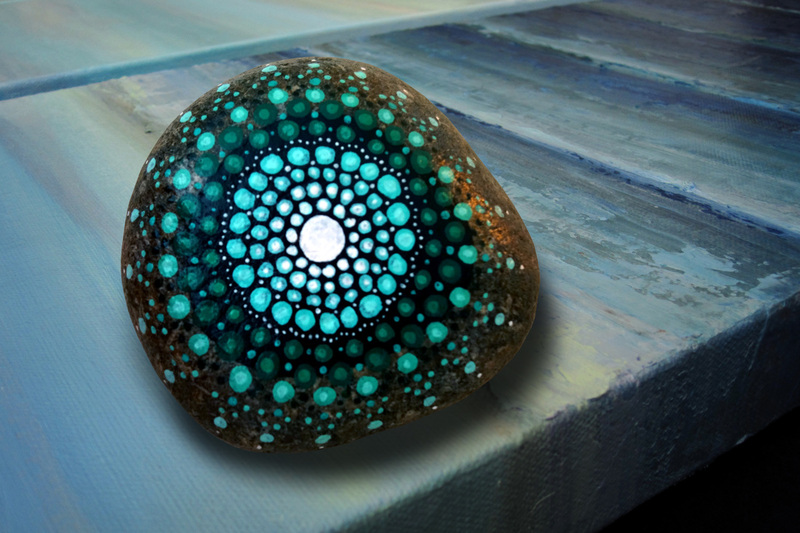 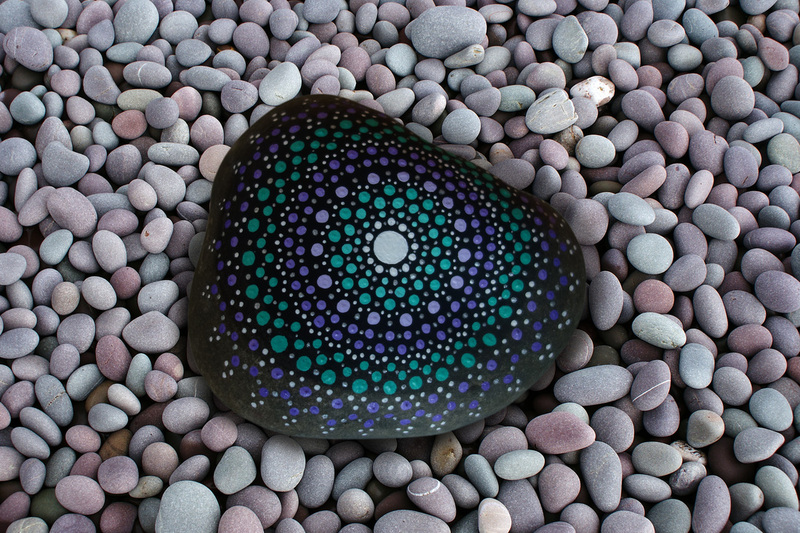 ﻿These dot work patterns are painted on natural river rocks. 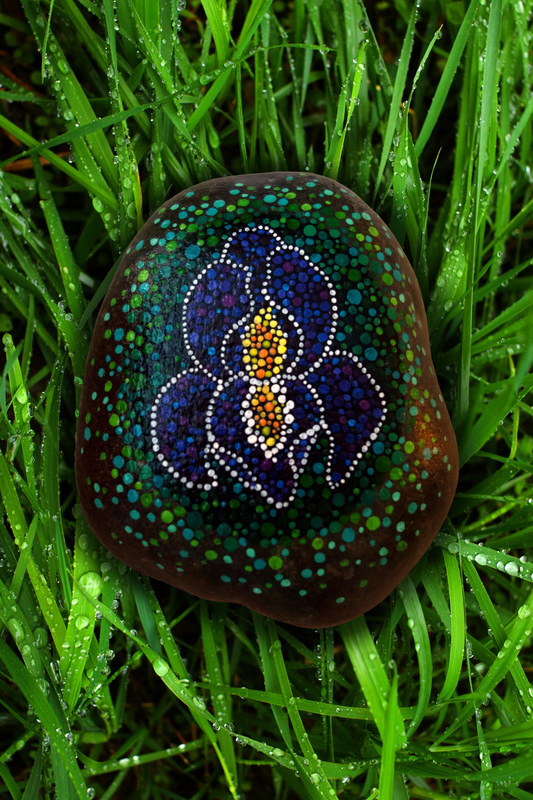 They are specially sealed so they can be placed indoors or outdoors. 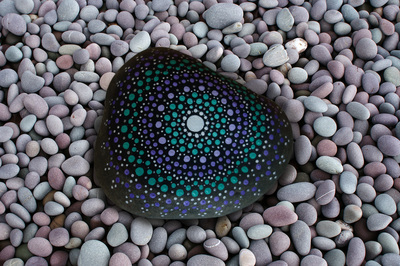 The rocks can be purchased by contacting me directly or by visiting my Etsy shop. I can take custom orders and can put these kind of designs on objects or surfaces other than rocks as well. 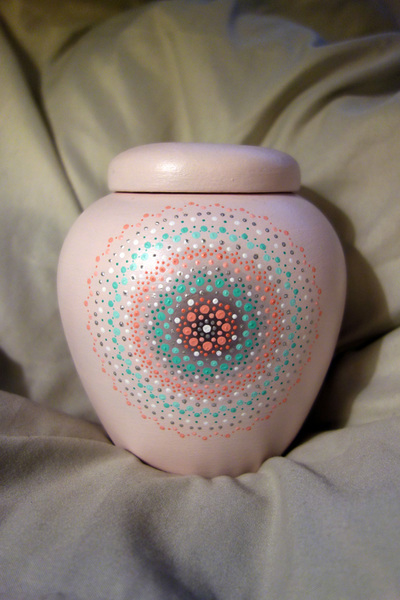 Intricate mandala designs painted by hand on ceramic urns. 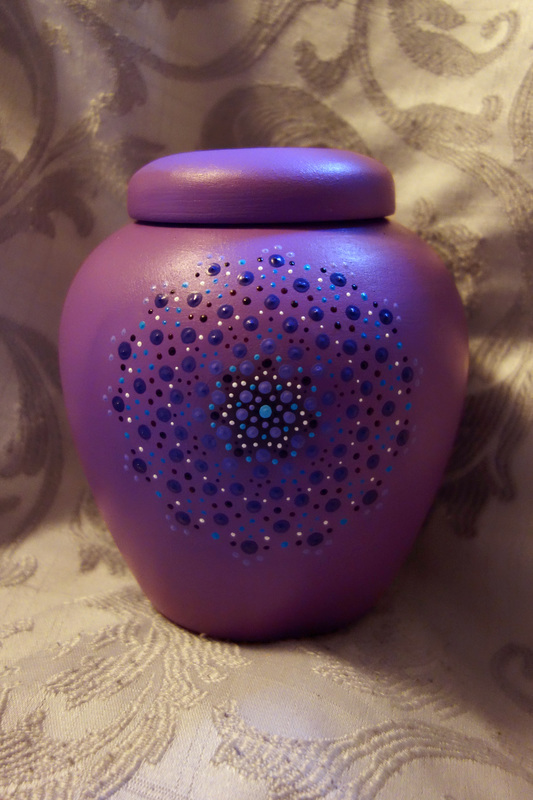 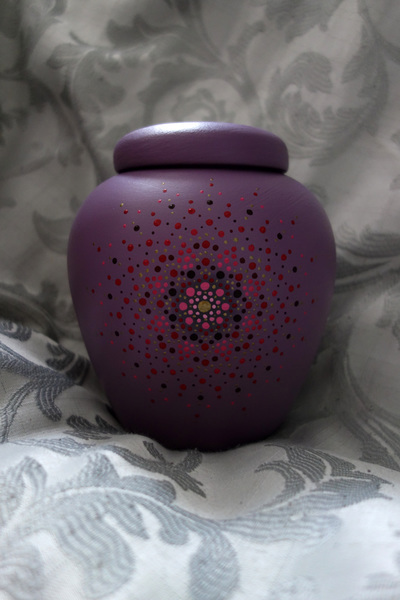 Urns are 5.5" x 4.5" and can be permanently sealed or left as is. 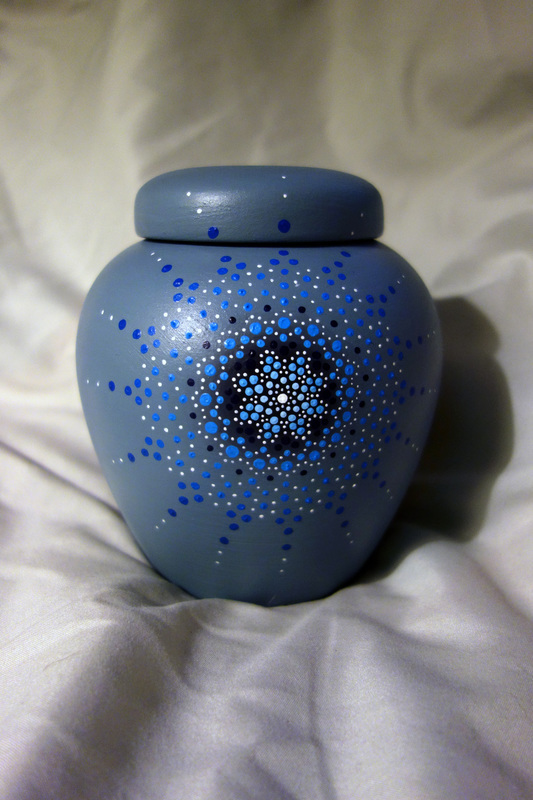 Available for purchase by contacting me directly or by visiting my Etsy shop.